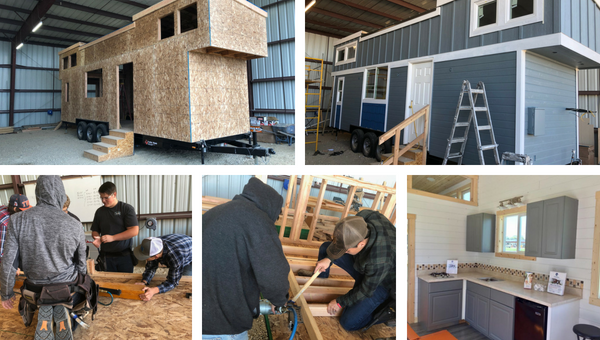 Metro Community Service's Matt Jones discuss 'Project Tiny House 2018' on Idaho Matters on Thursday, May 31, 2018. Homebuyers are looking for something more practical than the 'McMansions' of the 2000s and tiny houses seem to be a viable solution to urban/suburban housing crunches. Small on the outside, roomy on the inside, affordable with a minimal carbon footprint, these houses are becoming the preferred option in growing communities like Boise's. We look at this trend and talk about a group of high school students who built a tiny house for a good cause with Matt Jones of Metro Community Services.